Spectrum members with their students after a successful 2 weeks. 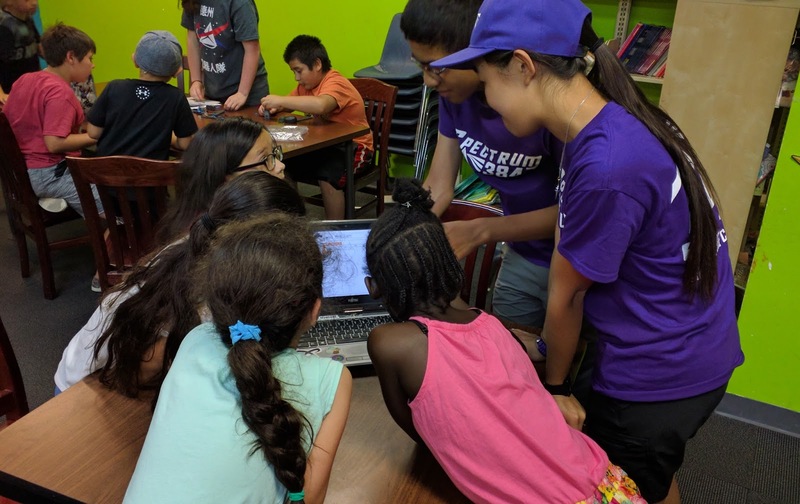 From July 31-August 11, Spectrum team members taught engineering principles and programming basics to over 60 underprivileged children at the Boys and Girls Club of Greater Houston. 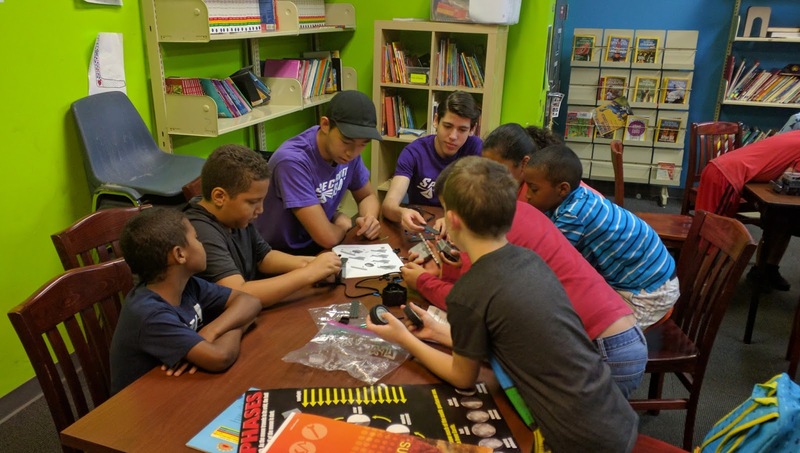 Using VEX IQ robots and the ROBOTC program, team members guided students ages 6-12 through the process of building, programming, and testing their robots. Spectrum members teach children how to assemble a robot. 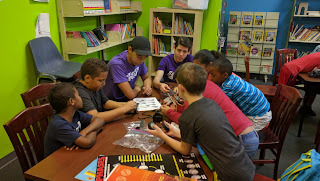 Throughout the week, our students aided the children in building a robot, programming, and utilizing various sensors. Each day built on knowledge from the previous sessions. 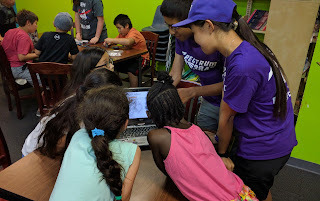 Campers learned to use gyro, ultrasonic, touch, and color sensors, and were able to incorporate several sensors into programs. Team members encouraged campers to write their own programs after each lesson. Campers learn to troubleshoot when encountering problems with their programs. Over the 10 day camp, our students introduced and fostered interest in the children for robotics. Not only did campers learn about robots, but our students also observed an increase in problem solving ability and creativity. "There's no greater moment for us than the children's excitement when they finish their first program, or when they successfully complete a difficult challenge," said senior Elaine Fung. Jeff Weissling, junior, commented that "It's really nice seeing all these young kids interested in robotics. I hope they continue learning and pursuing STEM." These past two weeks would not have been possible without our amazing student volunteers. Thank you for your dedication!